Per- and polyfluoroalkyl substances (PFAS) are a diverse group of compounds resistant to temperature, water, and oil. For decades, they have been used in hundreds of industrial applications and consumer products such as carpeting, apparels, upholstery, food paper wrappings, fire-fighting foams and metal plating. PFAS are persistent, and resist degradation in the environment. In high concentrations, certain PFAS compounds have been linked to adverse health effects. 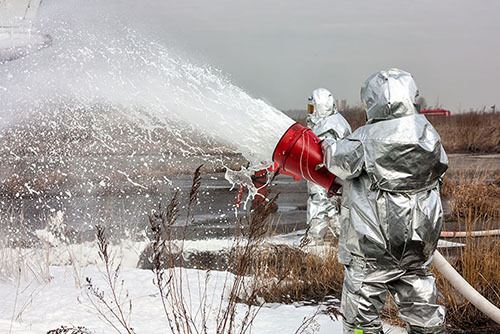 The environmental industry is being tasked with sampling for the presence of PFAS at extremely low concentration levels, down to parts per trillion (ppt). As part of this sampling, concerns have been raised that any equipment containing PFAS could adulterate groundwater samples. There are no standard test limits or homogenous protocols at this time as the rules are currently being developed by federal, state and local agencies. Geotech continues to monitor PFAS regulatory and research developments in order to provide our customers with the most current and accurate information. Geotech has partnered with a nationally recognized laboratory to verify PFAS levels with certified, laboratory analysis for many of our most popular products. However, "PFAS-free" is dependent on your site location, standard operating procedures and defined success criteria. We've met numerous standards for many customers. Reference Pages 4 and 23 of the manual for PFAS lab results. 1-800-833-7958 and speak with one of our experienced, trained sales professionals!